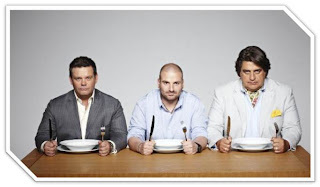 Many of us watch MasterChef and for various reasons we love the show. Perhaps this is one such series that even the vegetarians across India watch. Ever wondered why? It is because more than the recipe, the contestants share the innovations possible, the new ingredients, the excitement of the time and many Management lessons. 1. Be prepared for new challenges – The contestants are taken to different restaurants, different cities where the culture, people and even food habits are new to them. They themselves belong to different places and are surprised every day with a new goal to achieve. It depicts a skill - accept whatever comes your way, go conquer the world. 2. Teamwork – Many fight, many throw different ideas but it is their teamwork which results in sweet fruit in the end. Most of the times, we have come across that if there is even slightest of politics or ambiguity or even disagreement, your recipe is affected. I have this amazing quote from my mother – Your mood at the time you are cooking, is directly proportional to the taste and appearance of the meal. 3. 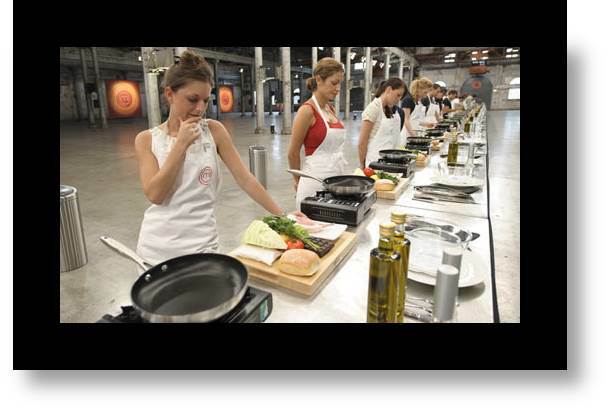 Strategizing – The contestants are told the goal of the day and then they have to think through each and every small activity from the dish they would cook, to ingredients they would require, to budgets they are allocated and how would they present. Small time is given but it has to be goal driven. Planning & then executing is the key. 4. Eye for detail & Creativity – The dishes they churn out is presented with details and an art. 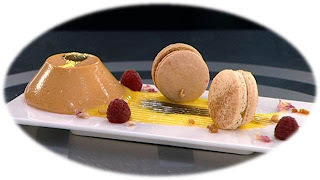 The way the contestants pronounce the item is as close to what is visible on the plate. It is neat. They take care of even the smallest of flavors which may cause a taste change in the dish. From hygiene to quantity to the final product, everything is a piece of their beautiful imagination. Very famous quote from Steve Jobs comes to my mind ‘Creativity is just connecting things. When you ask creative people how they did something, they feel a little guilty because they didn't really do it, they just saw something. It seemed obvious to them after a while. That's because they were able to connect experiences they've had and synthesize new things’. 5. Crisis Management – What happens when the dish turns out not the way he or she wanted? They have a backup plan. Or they fail and present what is on the table. Again two important things to note down here is always have a Plan B to fall upon. And if time is a constrain and you cannot execute the Plan B, present what is completed with conviction. You never know the task which you are not satisfied with, might interest somebody else. Even if failure is on the back of your mind, go with what you have. 6. Performance under pressure – Time has always been a constraint and not only for these contestants but even in our daily tasks. Pressure of successful completion, wining in your duties, peer pressure and tough competition will always be there in your job or business. But the way these chefs perform under all these limitations is a big learning for all of us. 7. Accepting criticism in positive manner – You thought it was your best shot but something happened and hell broke loose on it? These contestants go though it almost every time and one is eliminated on every show. Yet they face it with patience. They take the feedback in positive manner. If it was bad they take the judge’s fury and if it was good (at-least to them) but was not up to the mark, they still listen. Resilience is the key. There are many other small day to day incidences which life teaches us from these shows such as budgeting, timing, prioritizing, presentation, servicing the end consumer and customer satisfaction. It depends on us how we tune ourselves after watching them. The common man is getting grilled. Sandwiched between the two political parties, one dived deep into corruption and irresponsibility towards the citizen while the other is drawing attention towards one religion, not being secular and showing dreamy development claims. And then we have one economist proudly coming on TV saying ‘I don’t want Narendra Modi as PM of India’. Is this not just a statement? Has he given any kind of solution to this issue? When asked that does he favour UPA, he said my statement does not mean endorsing UPA. Hearing him yesterday on NDTV (clipping here) was actually funny. All of us are aware of problems but what is the solution. 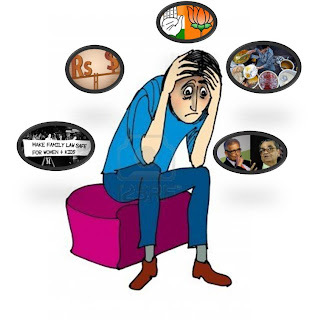 Why is media over hyping the Rahul-Modi issue? Being an Economist of India, he is not expected to just become the limelight with one statement. If he has been a learned entity in the past, he must either come up with an answer to the problem that what should citizens of India do or should keep himself restricted from the media. He should have researched well before to speak that Rahul Gandhi can be alternate PM, I mean as an Indian citizen we just do not want him to lead the country for we do not feel he is responsible for such a big task. In his speech he says - “He might be an excellent alternative, but I haven't decided yet." "Do I like Rahul Gandhi? Yes...He is from my college. When I talk to him, I enjoy it.” Though he also mentioned that this is not how the people of India should vote. The summary of this blog is as diluted as his statement and higher possibility is that maximum of us would not vote this year. All of us who feel that nation is deprived of a candidate that these goon filled parties are offering would not vote. All those who are hypnotized by the work of congress would vote on their behalf. Many who believe that Modi would be able to make a good PM considering various developments and his understanding despite his wrongly targeting a particular community would go on his behalf. And as I wrote in my first line majority would as usual be ‘sandwiched and grilled’. And the last line of this article from Business Standard is aptly written, people are getting submerged by the headlines given by the media rather than reading details about the facts. While it has been long that I last wrote my blog and I was waiting for real incident on the web to actually write something meaningful. There were many topics but one which affected me is actually problematic for the booming digital industry. What would you do if you see this tweet on a Friday when a new Bollywood move (in this case D-Day) is released? Obviously your plan would be to read the tweet reviews, go on to other sites and then plan to watch it if they are good. Right? Is this not cheating for personal benefit? Let me explain – the site sensationalized the headlines and prompted the user to click the link thus making sure to take the page views number high. These page view numbers are then taken to various brands and asking them to advertise on their portal. What the brand was trying to do is ‘crowd-sourcing the tweets’ which is innovative but was it actually a review as mentioned in the tweet? A very big question which arises here is – Should social media be regulated or regular media be checked? Sad & bitter truth – The goal of the brand is not the quality of content but the views on the content. It is how the success metrics are defined in the campaign. Writing very specifically of the above case, there are ‘n’ numbers of news channels with ‘n’ number of movie reviewers. 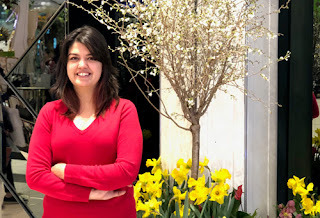 The brand would want many views and interactions and Social Media agency is under tremendous pressure to bring an idea which is a Kolavari Di or viral (this is another problem). This propels the social media handlers to sometimes go overboard to spread the brand name. Coming on to a conclusion for this problem is difficult because wrong practices are leading to success for the brands. The content if ethically monitored may undergo changes and in-turn would not ensure the so-called clicks and then result in the failure of the campaign. But the bottom line is ‘creating thin content is bad SEO’ and it would not be able to take you too far. For individuals, it is a matter of personal freedom to write and express their feelings whether right or wrong. They may write it for themselves, for a company, incident, or even on any individual which makes a separate issue to regulate the personal space but for brands it is very important to realize the long term goals rather than bring the success in short term goals without planning & strategy. Making a viral is in the hand of customer and not in the brains of agency but creating unique, innovative and authentic content is definitely their responsibility which should be regulated as a practice.